Bright copper color. Spicy, attractive aromas and flavors of gingerbread, cinnamon roll and cereal, coconut-mango chutney, and lemongrass with a silky, crisp, finely carbonated, fruity medium-to-full body and a tingling, refreshing, long finish with shades of holiday spice cake, chai, and root beer float finish. A fun, spicy winter ale that screams holiday parties. Bottom Line: A fun, spicy winter ale that screams holiday parties. 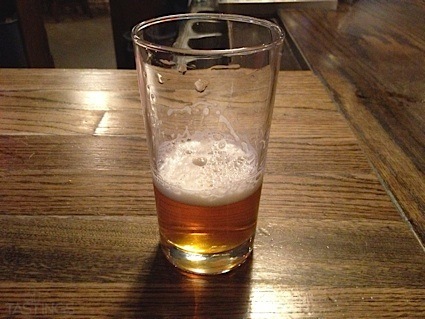 Winter ales are deep golden to dark brown in color and range in alcohol from 5.5-9%. Beers in this category can be unspiced, though a majority of these beers feature a wide variety of seasonal spices. True to their name, these beers are commonly brewed in the winter and often feature cinnamon, clove, nutmeg and all spice in their flavor profiles. Better examples of this style feature a balance between added spices, hops, malt and alcohol. Noteworthy examples of this style include: Great Lakes Christmas Ale, Full Sail Wassail Winter Ale and Deschutes Jubelale. 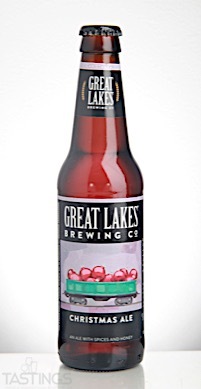 Great Lakes Brewing Co. Christmas Ale rating was calculated by tastings.com to be 92 points out of 100 on 11/8/2017. Please note that MSRP may have changed since the date of our review.